Hello! This is the first blog post I’ve ever written- anywhere. Great River Rescue (formerly Beltrami Humane Society) has had a blog in the past, but hasn’t had anything active for a number of years. I would like to use this blog as an opportunity to write candidly about running an animal shelter, and the issues our community faces regarding animal welfare. I also hope that other staff and volunteers will join in writing about issues we face from their own perspectives. And, I really hope that you, the public, will join the conversation and add comments from your own perspectives. Ultimately, I hope that this blog can be used to better our organization and our community. For my first post, I’d like to write to you about our name change. 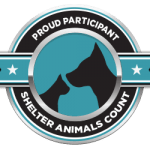 People often referred to us at the “Beltrami County Humane Society.” Newspapers, TV reporters, and even the Board of Animal Health would add that word “County” when referring to us. Countless checks would come in with the word “County” in the name. Of course, adding an extra word in our name isn’t the most negative thing in the world, but the perception that we were a government entity was not a good thing. Many people assumed that our organization was either part of Beltrami County, or funded by Beltrami County. It is true that Beltrami County played an integral role in getting this organization started, but they have not been involved for many years. Beltrami County provides us with NO funding, and, in fact, only sends bills our way. Although we hope to work alongside the County and build a stronger relationship, we don’t believe it benefits the organization to have people think we are part of the County. In addition to not being part of the County, we have no geographic restrictions for our services. Some people I have talked to over the years believed that we would only take-in animals found in Beltrami County. Although it is true that we often can’t take animals on the spot, we do not have, nor have ever had any geographic restrictions. Recently, we have been taking in animals from as far as Grand Forks, North Dakota. We will help any and every animal we can help, regardless of where the animal comes from. Having the word “Beltrami” in our name seemed to create some confusion in regard to our services. Finally, we have had many instances where people come in and mention to us that they paid their membership dues, yet we had received no money from them. Or, they will talk about one of commercials on TV, and we will tell them that we don’t have any TV commercials. These people believed that our organization was somehow associated with the Humane Society of the United States. In fact, it seems like more than half the people I talk to believe that we have some affiliation with the Humane Society of the United States. Nothing could be further from the truth. Although we share similar names, or organization is a private entity. We do use resources from HSUS on occasion and submit a grant to them every once in a while, but that is it. 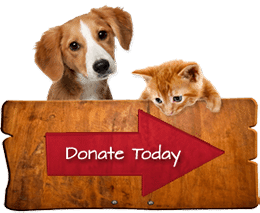 Not only do we want people to know that money sent to HSUS does not benefit us, but also that we don’t necessarily agree with everything HSUS does. We are our own organization with our own policies, values, and beliefs. Ultimately, we changed the name because we want people to know who we are and what we do. 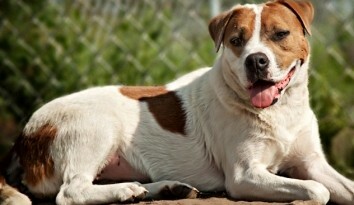 Great River Rescue is a private, non-profit animal shelter. We rescue, care for, and find homes for hundreds of companion dogs and cats each year. We are funding by community support, first and foremost, and service fees after that. Our goal is to reduce pet overpopulation and the negative effects that come along with it. 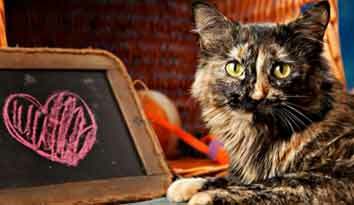 We encourage responsible companion animal care, and dream of a world where needless euthanasia no longer exists. So, say hello to Great River Rescue. Although we are proud of the work of the Beltrami Humane Society, we believe it is time to move forward with a new image. We are a professional nonprofit business that provides a valuable service to this community. We want to make an even great impact than ever before. We want to save more animals, bring more families together, and educate more people on animal welfare issues. I really hope that you will join us in this commitment, and the challenges it will present us with. I hope that you will believe in us and our capacity as a community to make a real difference. Thanks for the great explanation. I know when I moved to Bemidji, I believed all those things you wrote about. It wasn’t until I started volunteering that I learned there was no affiliation or funding from the county or USHS. I love the new name and hope it helps people become even more involved in this wonderful community resource. I wondered why the name was being changed. These are all excellent reasons. When I first moved here, I also believed your agency was connected with the Humane Society (which has a very negative connotation for me regarding their kill rates.) You all do a wonderful job–keep it up! Wonderful explanation regarding the name change. I was also under the same false assumptions until I started volunteering and learned the truth. I look forward to buying and wearing a new t-shirt with Great River Rescue!